Daniel Marshall, as many may know has been creating custom high quality humidors since 1982 . He has provided expertly crafted cigar dwellings for celebrities, the elite and those who desire the best for their smokes. As a postscript to his humidors, Daniel Marshall went the route of creating his own line of cigars adhering to the same standards as his humidors. 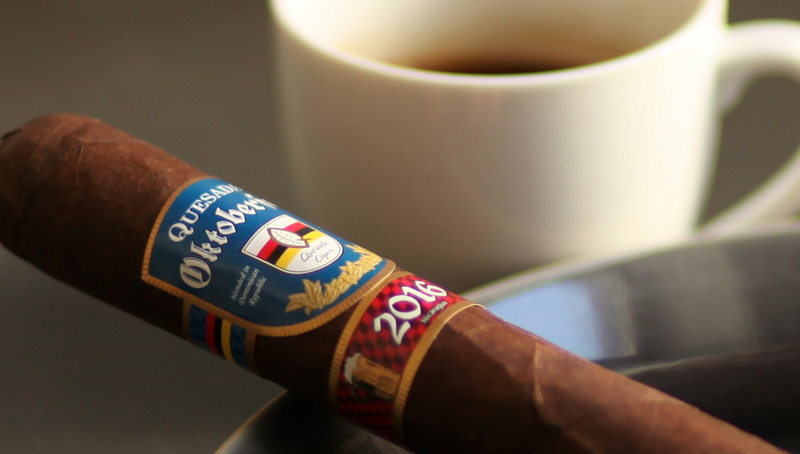 From the Red label, to Black (which received a positive rating from us) and even Gold, he has sought to provide several unique tastes for the cigar lover. With its Cameroon wrapper, the Daniel Marshall White Label robusto is a mild to medium smoke geared toward lovers of the leaf who enjoy subtleties in flavor and a balanced cigar. The Daniel Marshall White Label Robusto sports a claro wrapper which is rather veiny. The cigar has a spongy foot and is not too firm to the touch. The squared label with white and gold accents simply displays an “M’ initial in cursive. The cigar itself visually doesn’t particularly stand out for me. There are no noticeable aromas to the wrapper save a bit of wood. At first lighting the Daniel Marshall White Label robusto I was met with a tangy note that was a bit off putting. The finish was flinty and rather short to start. The cigar produced a fine draw and as I puffed away some nuttiness came through. On the retrohale there was balsa wood and a bit of white pepper however that didn’t last long. Midway the burn became uneven and the smoke ran rather hot despite puffing the cigar slowly. The flavors at this point were muddled and there was some citrus struggling to come to the forefront. Toasty notes developed then segued into a charry bitter finish. Thus far the cigar stayed in the medium bodied range. In the last third the Daniel Marshall opened up a bit to reveal some gingerbread and toast. Another retrohale at this point delivered cashew and oak with white pepper returning. The burn struggled to correct itself and the ash was rather pale, almost anemic. The last remaining puffs burned hot intermixed with some bitterness, toast, nuts and a short finish. An uninspiring smoke. While Daniel Marshall is renowned for high quality humidors I would say the White Label robusto is not the best example of this producer. I found the flavors lackluster and muted at best. 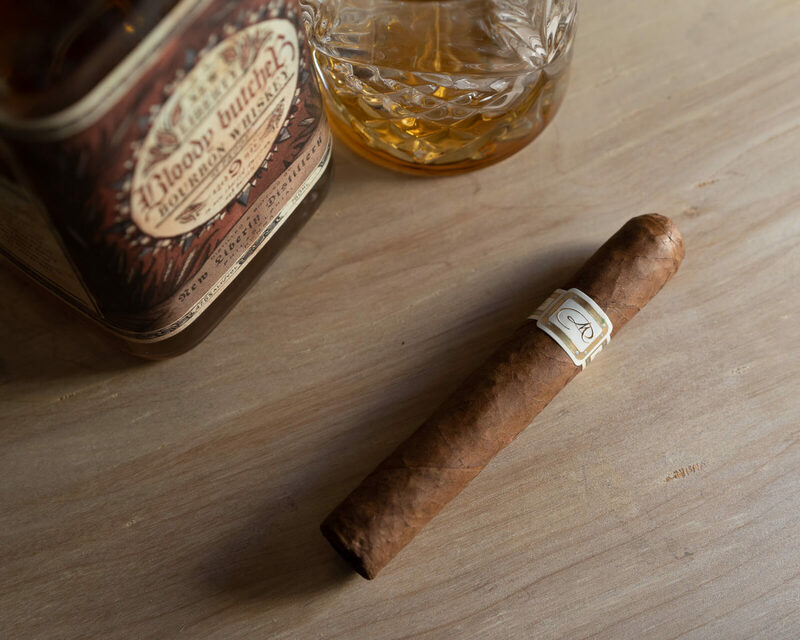 A medium bodied cigar at its finest can and should yield subtleties of taste but that is much different than being able to barely grasp the essence of aromas from a cigar. The disproportionate burn throughout most of the smoke did not help which is question of quality control for me. I’ve enjoyed Daniel Marshall’s Red and Black labels more and I would suggest seeking those out rather than his White Label at least in the robusto vitola. Reviewers note: this was a non-blind rating. This historical play, by a unanimous author, is “El Güegüense o Macho Ratón”, the first literary Nicaraguan work, pertaining to the Nahuatl culture. Building upon the foundation of its predecessor cigars, Melillo sought to take the next logical step by expanding out of the Esteli Region of Nicaragua into other regions of the country, as well as to Mexico (home of the increasingly famous and fertile San Andres Valley). The Wise Man bears a most striking appearance. The wrapper is dark, positively rugged-looking and finely assembled, to the point where if you removed the wrapper, you might mistake it for a Padron 1926 Anniversario. The wrapper is also satisfyingly fuzzy to the touch, and exudes a cold odor that hints of nothing but, I kid you not, pure, unadulterated tobacco (another first for yours truly). The body is unique as well; hard as a rock, but without being brittle. The cap is the epitome of the body’s robustness; perfectly wrapped, and no loose ends to found after being cut. It’s 9:50pm, and the Wise Man gets right down to business by emitting a sweet crackling sound the moment the match’s flame begins toasting the foot. Given the body’s all-around hardness, the draw is surprisingly loose, clearing the way for a heavy and rich spice that immediately and smoothly settles into the palette. The retrohale is equally spicy in nature. Yet, like the draw, its flavors are able to shine through without searing the tongue or nostrils. The background is characterized by delicious combination of nutmeg and cinnamon sugar, offering a crucial counterweight to the spice in the foreground. The second third sees the burn begin to canoe slightly, but the Wise Man’s lush, white/grey ash holds firm while consistently emitting enormous smoke clouds with every puff. The flavor profile gets more and more interesting, on both fronts. The background emits what can only be described as refreshing peppermint element. This new note, along with the nutmeg and cinnamon, partially melds with the foreground, resulting in a new flavor that tastes like a Dark & Stormy. All this in spite of the fact that the flavor is partially compromised by a persisting under-matured tobacco and a slightly tightening draw. As the ash finally falls off the foot for the very first time, the flavor profile continues its variation streak with a background note of bitter fruit, which eventually merges with the spice, cinnamon, nutmeg and peppermint to complete the mix. Unfortunately, the flavor begins to strangely disappear entirely near the end, though thankfully not completely. The draw begins to loosen up again, and the burn holds steady, keeping itself relatively even throughout the last third. The smoke finally, and conveniently, comes to an end at 11pm on the dot. It’s been a long time since I reviewed a cigar with a flavor profile this complex. The combination of notes and the way they interacted and melded with each other was like a breath of fresh air. The fact that the draw and burn were as relatively consistent as they were made the experience all the more enriching. 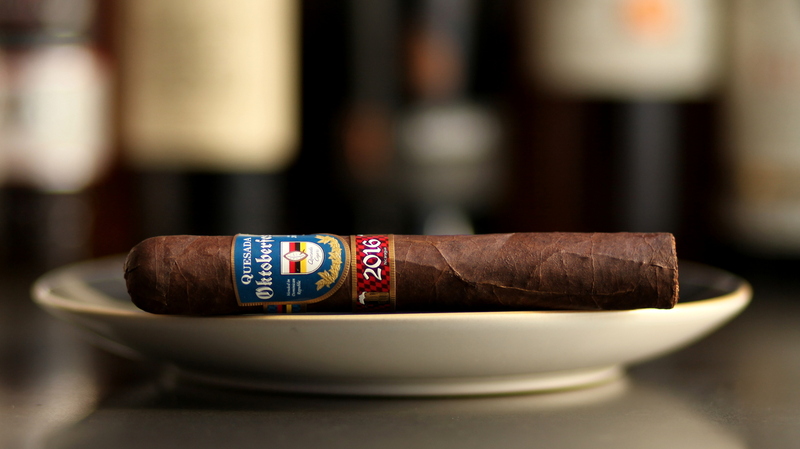 The gradual disappearance of the flavor profile on the final third wasn’t the most desirable outcome, but the Wise Man is still a powerhouse of a cigar that deserves a place in Cigar Aficionado’s top cigars of 2017. 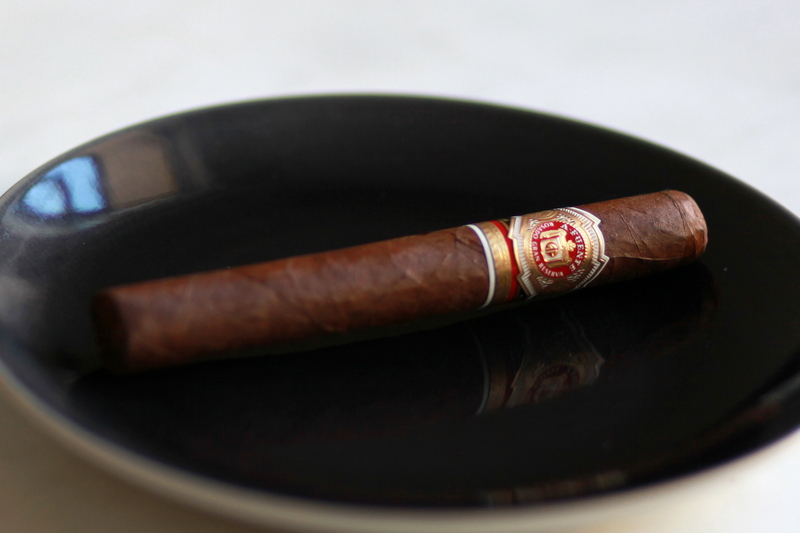 Arturo Fuente is known for making great cigars regardless of price range. The average cigar smoker has no need to go all out with an Opus X to have a knockout cigar experience. He can just as easily do so with a regular Gran Reserva or a Short Story at a fraction of the cost. That’s why I’m excited to have this handsome toro in my hand. If the Fuente family is holding its own, then I’ll be most glad that I didn’t burn a gaping hole in my wallet on that Opus! The Magnum’s appearance is deceptive in a good way. Sporting a flat cap and thick veins, the wrapper looks quite rugged, almost jagged, at first glance. However, the wrapper also sports a texture that’s highly velvety and smooth. The Magnum further distinguishes itself by its body; it expands and contracts with pressure like a pillow while constantly maintaining structural integrity and having virtually no soft spots whatsoever. But the best part of all is the cold odors. A sultry combination of sweet earth and chocolate on both the wrapper and the foot makes for a much-appreciated first in my 3 years of cigar reviewing. At this point, I simply can’t wait any longer, so let’s get on with it. The Magnum hits hard right off the bat with a strong and rich pepper note in the foreground, supported by a spicy wood note in the background and an equally spicy retrohale. The smoke clouds are nice and thick, and the draw is initially seamless, though it eventually contracts somewhat noticeably. 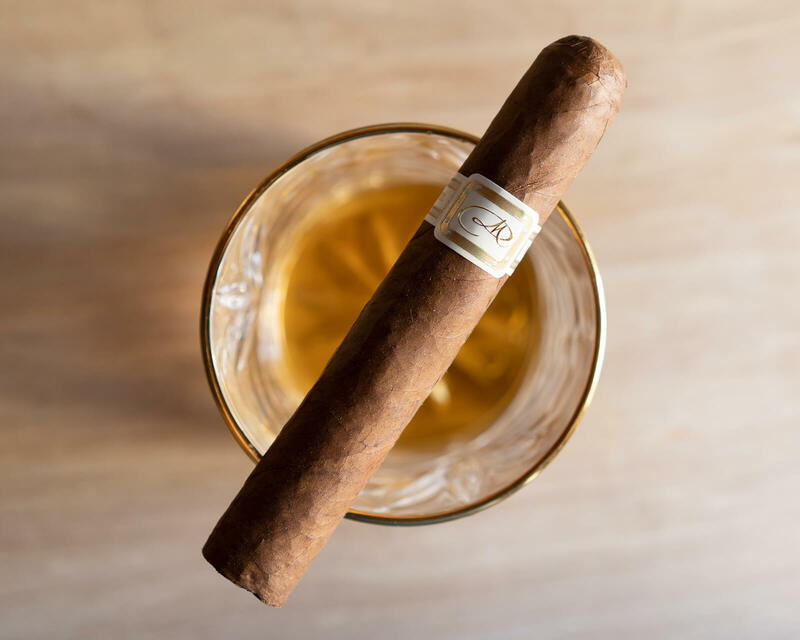 Each and every puff indicates that the tobacco has been aged to complete maturity; none of the quasi-gasoline tastes characteristic of under-matured cigars are to be found here. Admittedly, I made the mistake of being careless when lighting the foot, resulting in an uneven burn. The problem is exacerbated by the Magnum being unable to correct itself. Fortunately, this does nothing to get in the way of the flavor itself. Just before the first third is cleared, a delicious chocolate note appears subtly in the background, and spends the second third making its way into the foreground, eventually going toe-to-toe with the spice. Meanwhile, the background acquires a salty essence that compliments the spice quite nicely. The retrohale also begins to change around this time, morphing from its initially spicy essence into a peppery one. The burn is still unable to even itself out, and the draw begins to tighten again, but these inconveniences are mitigated by another first for yours truly: the aroma of the smoke clouds, which still maintain their thickness, sports a lovely cinnamon sugar note that is simply to die for. The point of convergence is slightly anti-climactic. The draw doesn’t loosen up as hoped, though it should also be noted that it doesn’t tighten either. The spice and the chocolate that have dominated the foreground begin to merge together into a flavor that gains strength, almost to the point of singing the palette. The background, meanwhile, holds steady with its spice and salt, and the retrohale does the same with its pepper; prominent, but not offensively so. The smoke clouds remain thick to the end, making for an overall satisfying finish in spite of the stubborn draw and burn. The Fuente family promises on their website that the Magnum offers a creamier and smoother experience without sacrificing flavor. In spite of the difficulties encountered with the draw and the burn (the latter of which was partly your truly’s fault anyway), the Magnum lives up to its promises quite well. 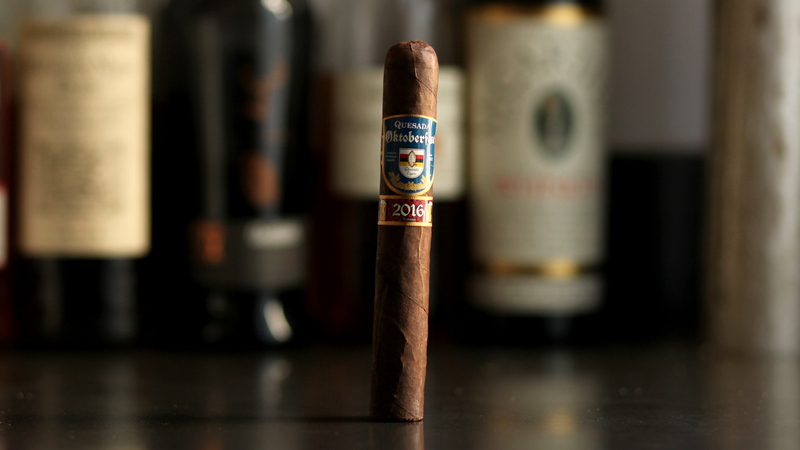 The sheer abundance of flavor, the texture of the draw, and the maturity and diversity of the flavor profile was enough to surprise even this longtime Fuente fan, and I have no doubt that most other Fuente fans will feel the same way. The Magnum certainly has its issues; fortunately, they appear to be exclusively in terms of structure and assembly, something that is far easier to fix than a flavor problem. In my personal experience, specially-themed cigars have a tendency to be either amazing or abysmal, with few (if any) in-betweens. The Oktoberfest thus far has consistently made its way into the former category (I distinctly remember enjoying the Über vitola with a hard cider in October of 2015). I know it’s December of 2017, but let’s dive into the Oktoberfest 2016 Triple Bock! I’m pleased and relieved to find that my initial concerns about the draw were ultimately overstated. The draw has a medium-grade strength toit, allowing me to experience an excellently-textured, strong and meaty flavor complimented by undertones of spice and pepper. The burn is also consistent in its evenness; very rarely do I find myself consciously paying attention to it, which is always a good sign. Around the second third, the pepper in the background finds its way to the retrohale as well, making it more zesty, but not always in the most constructive way, given how harsh pepper can be. Not long after, the foreground’s flavor incrementally becomes more mild, going from spicy and peppery meat to salty bread (essentially a pretzel, fittingly enough). It’s not always preferable to have a cigar’s flavor become mild at this stage, but the transition is seamless and the flavor still works well. It’s also at this transition point that the undertone becomes more chocolatey, which balances the flavor profile with the foreground’s salt remarkably well. The Point of Convergence is where I realize that the Oktoberfest has a slow burn that can keep it lit and undisturbed for over five minutes at a time. After refilling the water glass and various other chores and distractions, I find myself picking up exactly where I left off without need for maintenance. I find the salty bread of the foreground merging with the chocolate undertones to mature into a handsome and rich dark wood, with the occasional touch of BBQ and a spicy/peppery retrohale reminiscent of the first third’s foreground. This flavor profile continues up unto the nub of the cigar, many minutes later. Given my previously stated suspicion, I was particularly surprised at how well the ’16 Oktoberfest turned out to be. From the meaty beginning to the pretzel-esque middle to the dark wood-infused ending, this season release proved itself quite viable, versatile, and enjoyable in its flavor profile, if somewhat unrefined. The construction is also quite laudable. It’s not every day you find a stogie that can consistently burn evenly, maintain a consistent and medium-strength draw, and stay lit for over 5 minutes, all at the same time. This stogie is definitely a winner overall. Smoke it for social events. Even though the Oktoberfest’s flavor profile is excellent, it is still just unrefined enough to make it best enjoyed as a supplement to an experience, as opposed to the center point of it. So break out the bier unt the sauerkraut and light one up in the midst of a group of friends.